DR. TIMOTHY KAVIC, M.D., F.A.C.S. Here at the Advanced Vein Center, Butler County, our Board Certified Physicians (FACS) have many years of experience caring for patients and their vein problems. Being Board certified means our Drs have passed rigorous standards set by their peers to make sure you receive quality care. As a Vein Dr in Franklin Park, Dr Kavic lives and works in his neighborhood near Wexford, Vein Clinic specializing in varicose and spider veins. He loves what he does, caring for patients veins, Ross park, Mars, 7 fields, vein clinic is only a ten minute drive. He loves being a part of the community he has worked in for much of his adult life. He is a very caring and compassionate physician, who takes great pride in his work. He maintains yearly continuing education courses to keep up with all the latest vein care options , like the new Vein Glue we recently added to our many Pittsburgh Vein Clinics. Dr. Kavic belongs to the American College of Surgeons and recently held a position on the Medical Executive Committee at Clearfield Hospital. He also has years of experience guest lecturing for HIPAA Compliance for Physicians and Healthcare Providers at St. Elizabeth Hospital (Youngstown, OH), Value Health Pho (Monongahela, PA), UPMC, Passavant Hospital (Pittsburgh, PA), and also conducted small business leaders lectures titled “Employers and HIPAA,” and for the Small Business Alliance (Pittsburgh, PA). 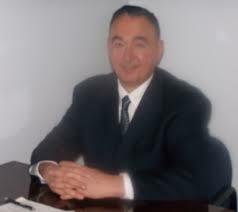 Dr. Kavic was an adjunct professor in Occupational Therapy at Duquesne University from 1997-1999. Dr. Kavic, a Pittsburgh native, Beaver County, Hopewell to be exact, now resides in Franklin Park, PA. He said he is excited to join the staff at the Advanced Vein Center and Body Beautiful Laser Medical Spa and bring his wealth of experience while offering offer high quality, compassionate care for his patients. He is certain that he and his team will deliver a unique experience for patients as he truly cares for the wellbeing of people. We have 3 Varicose and Spider Vein Center locations for Surgical needs in Beaver, Butler and Cranberry Twp. FREE visual Vein Screenings are available at ALL 4 other satellite locations to serve you. SURGERY CENTER & VEIN CLINIC CRANBERRY TWP. FREE visual Vein Screenings are available at ALL 4 other satellite locations to serve you.